From the Plaza and the Crossroads to Downtown and the Riverfront, new apartment complexes have been springing up around Kansas City, Mo. in spades the last two years. And in 2017, 91 percent of these new complexes had something in common. They were all luxury. Courtesy One Light Facebook page. New data from Yardi Matrix shows that in 2017, 91 percent of new apartment complexes in Kansas City were considered high-end apartment buildings, which ranks KC eighth in the nation for the most high-end apartment buildings completed in 2017. Then during the first part of 2018, this notable 91 percent was shattered – One hundred percent of apartment complexes built in Kansas City during the first part of this year have been high-end. 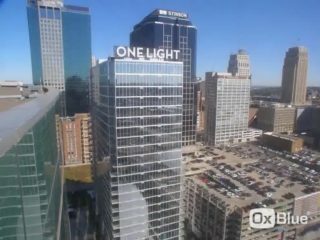 Albeit most of the apartment buildings completed in Kansas City have been luxury, Kansas City’s low cost of living can be emphasized by looking at the bigger picture. RentCafe lists the 50 highest average rental rates in the nation by zip code, and the cheapest on that list, at more than $3,500 a month, is still more expensive than the highest-price rentals in Downtown KC. Number 1 on that list, on the Lower West Side in New York, had average rents of $5,657 a month. Kansas City’s finest are still about 2,400 cheaper than this New York rate, and among the most expensive ones listed here in KC are the 2-bedroom penthouses at One and Two Light (about $3,200 a month), and a 3-bedroom unit at Roasters Block Apartments at 7th and Broadway, going for $2,995.